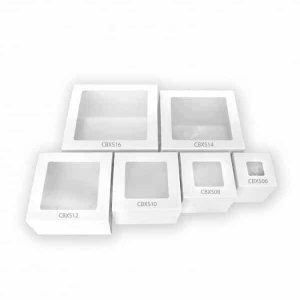 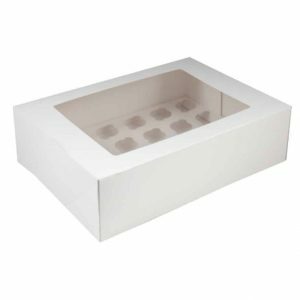 Cake Boxes & Cupcake Boxes are a necessity to all cake maker’s! 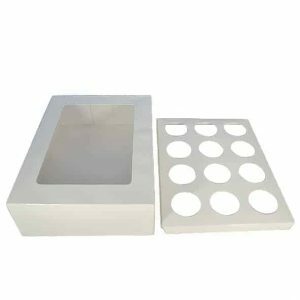 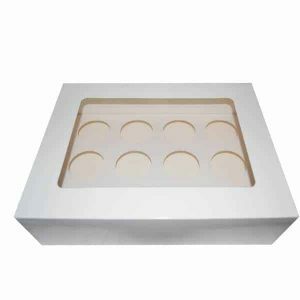 Professional presentation is important and good quality Cake Boxes & Cupcake Boxes boxes always help the cake/cupcakes look great, are hygienic and help protect all your hard work from any mishaps. 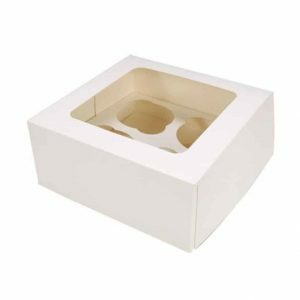 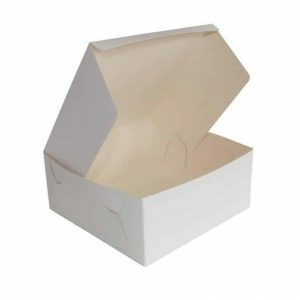 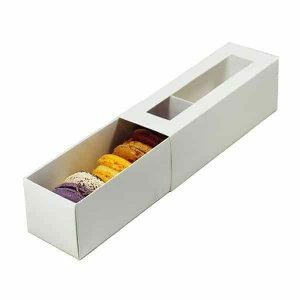 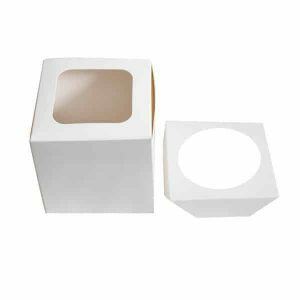 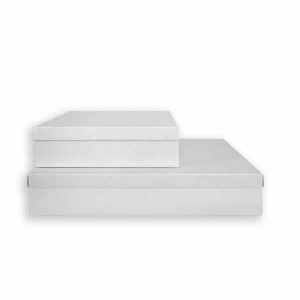 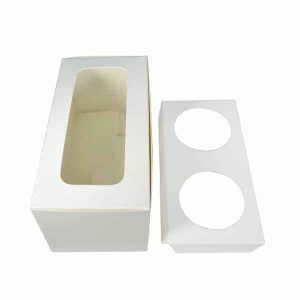 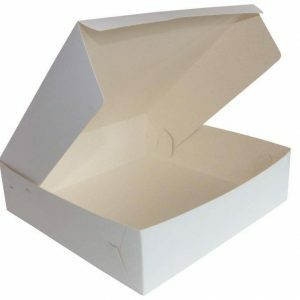 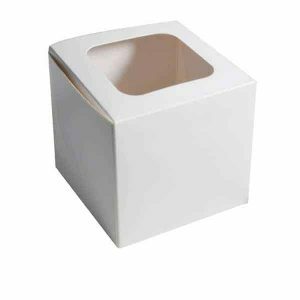 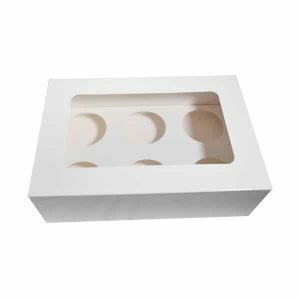 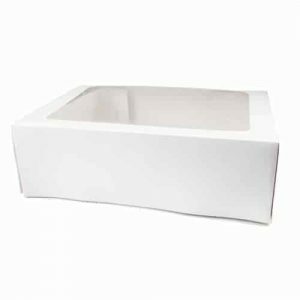 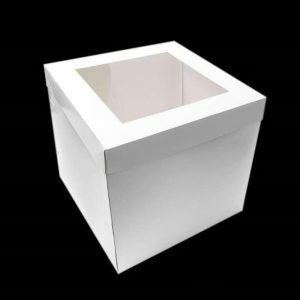 White cardboard cake box with hinged lid. 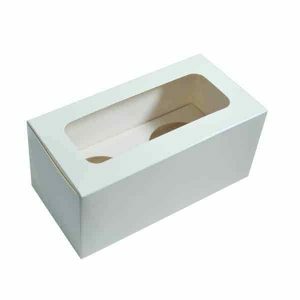 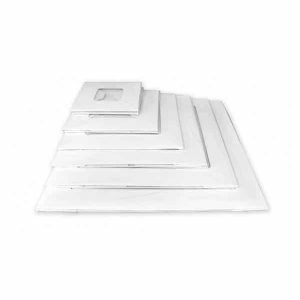 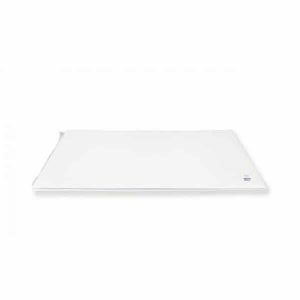 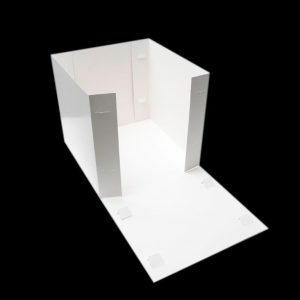 Measures 10" wide x 10" deep x 5" high (25cm x 25cm x 12.5cm) Supplied flat, easy to assemble.